It’s a well-known fact that distracted driving accounts for a huge number of accidents across the United States. Pedestrians and bikers are particularly vulnerable, but other motorists are also at substantial risk. 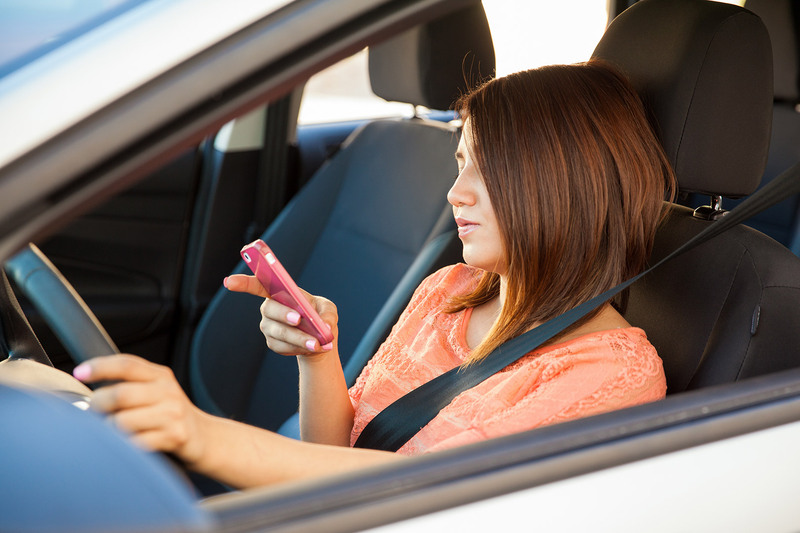 Texas enacted a law nearly 15 months ago in an effort to combat distracted driving. But, how effective has it really been? The Texas legislature’s intent was a noble one when it passed its ban on texting while driving, but it fell completely flat because it only banned texting. This was a massive oversight by the legislature and created a nearly insurmountable problem when it came to enforcement of the law. If you’re driving through a city or municipality that doesn’t have local laws of its own that are more stringent, police officers can only write you a ticket for texting while driving if they actually see you texting. We’ve all seen people on the roads using their phones, but how many of us can say with any degree of certainty that we knew that person was reading or sending a text message as opposed to reading an email or using their phone’s GPS system? It could be blatantly obvious that a driver is distracted – a police officer could see you on your phone while speeding, tailgating, or even running a stop sign. But he won’t be able to make a distracted driving charge stick without being able to testify to the fact that he knew the driver was sending or reading a text message. The Texas law not only falls short by failing to define distracted driving as any use of one’s phone, but it also prohibits law enforcement officers from checking the phone when someone is pulled over. If the police officer issues the ticket for distracted driving and the matter goes to court, then it would be possible for the driver’s phone records to be subpoenaed and inspected, but having to do that in every single case is a major drain on time and resources. Police officers are more likely to not issue a distracted driving citation. There’s really no better way to measure a law’s effectiveness than to compare the numbers. Because many localities have laws that are far stricter than the statewide ban, it can be difficult to find data supporting the law. In Plano, Texas, for example, 73 distracted driving tickets were issued the year before the ban went into place, and 73 distracted driving tickets have also been issued in the year since the ban went into effect. However, according to Plano police spokesman David Tilley, a majority of those tickets were written for drivers using their mobile device while in a school zone. The ban on using a cell phone while driving in a school zone was in place in Plano before the statewide ban was even passed. So, it seems the statewide ban has had little effect on the city in north Texas. In Dallas, just 24 drivers received tickets under the statewide texting and driving ban in its first year. Dallas police openly admitted that officers are not actively seeking out drivers who are violating the ban. Who can blame them? It’s virtually impossible to enforce as it is written. Texas has the worst distracted driving numbers of any state. When you consider it is the state with the second largest population, that might be a bit more understandable. However, California has over 11 million more people than Texas, and Texas still continuously suffers far more accidents and deaths due to distracted driving than California each year perhaps because California prohibits holding a cell phone in one’s hand while driving.